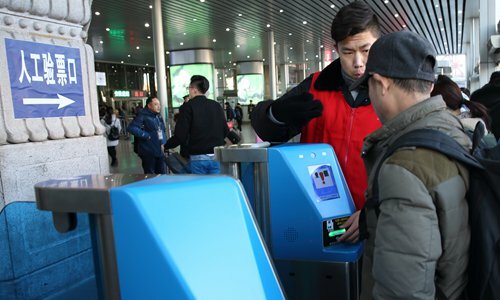 During this year's Spring Festival travel rush, railway stations in several cities will use a facial recognition system to check tickets. The system also extends to third- and fourth-tier cities. More than 400 million passengers are expected to travel during the holiday rush between January 21 and March 1 this year. Traditional manual ticketing methods cannot cope with such a large passenger flow. Some stations have upgraded facial recognition systems to search for missing people by inputting a facial image of the missing person into the platform. Through the monitoring system, lost children and missing elderly can be matched and monitored quickly. At the same time, the technology can also help track those who break the law via a blacklist, and monitor and alert authorities of any illegal activities and emergencies. The technology helps quickly deploy security to the scene. 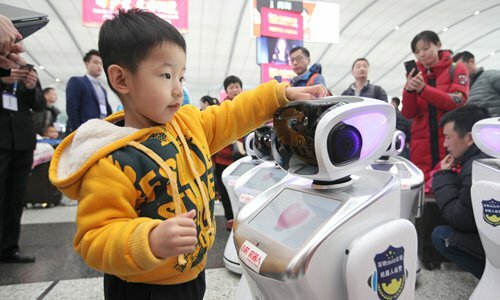 Guide robots are another highlight of this year's Spring Festival travel rush. Robots will be popping up at some railway stations across the country, drawing on big data technology to guide, respond and find lost items for passengers. 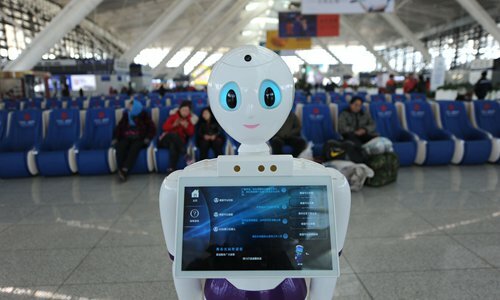 China Central Television previously reported that the robots can not only answer passengers' questions about train times, ticket information and location directions by voice, but also improvise songs and dances upon request. 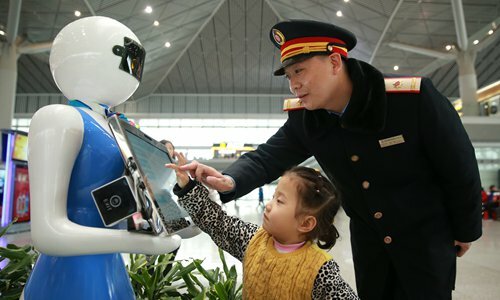 Police robots can not only cooperate with public security organs to carry out security patrols, monitoring and alarms, but also provide passengers with safety advice, blood pressure measurement, information announcements and other services. 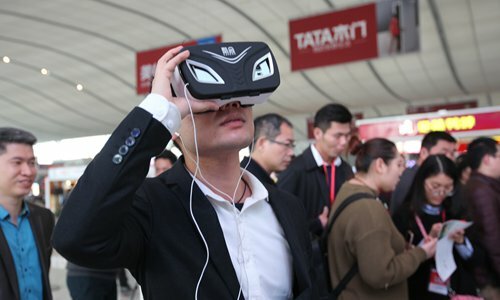 Last year during the Spring Festival, railway stations in Southeast China launched VR digital navigation. Before boarding the train, passengers can virtually experience entering the station, going through security checks and waiting for the train in advance via their smart phones, helping them navigate key areas when they actually arrive at the station. Stations with large passenger flow, such as Guangzhou Railway Station, have also adopted AI machine vision, big data analysis and other technology to monitor crowds in key areas in real time and count the exact number of people throughout the station. If congestion continues, the department is able to take measures to divert passengers.